The new Excel 2013 retro icon. You can choose Blank workbook to create a new Excel file. Hate those menus in CAPITALS! When you click on another cell, it's isn't selected immediately; instead, the cell selector slides towards it. Some animation makes sense; this one doesn't. In general, however, I don't think the large amount of money Microsoft probably spent on redesigning the user interface was money well spent. Except it probably was. 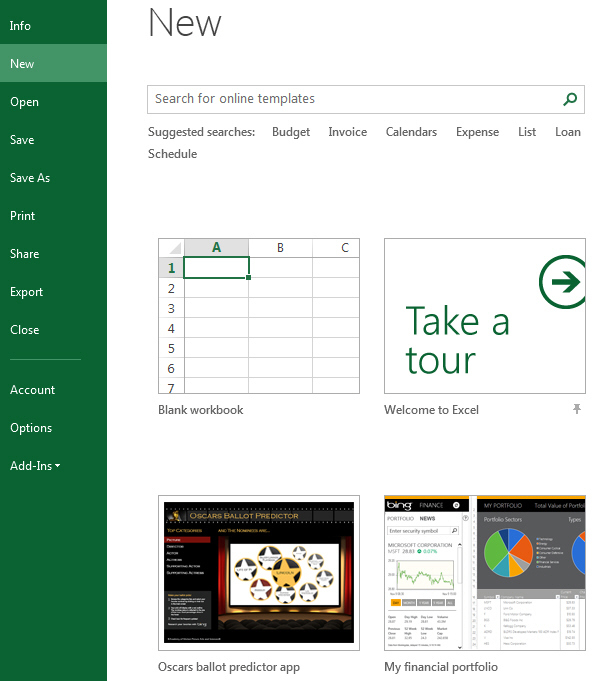 The look-and-feel is called Metro design, and its main purpose is to make Excel usable on tablet computers with touch screens. Lose that mouse! Having looked at first impressions of Excel, let's now look at changes to how you can work with files in Excel 2013.